When the Toledo plant expansion finishes in 2016, it will expand the production of Absorbent Glass Mat (AGM) advanced batteries for Start-Stop vehicle applications. Johnson Controls is set to focus on advanced batteries at one of its China plants— but refused to reveal whether it will be lithium or lead-acid. Although the US company is keeping quiet about the details, a company spokesman confirmed an announcement will be made in the ‘next few weeks’. 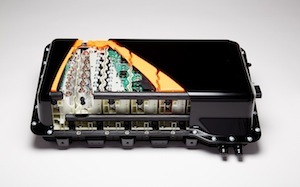 North American battery supplier Johnson Controls has opened a laboratory in its bid to develop lithium-ion battery systems for vehicles. The Wisconsin company’s Johnson Controls Vehicle Engineering Systems Laboratory includes a dynamometer to investigate management of battery energy and power transfer. 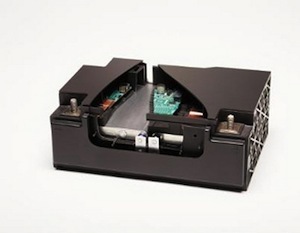 As lead pressure groups, including International Lead Association (ILA) and Eurobat, lobby for an extension of the usage of lead-acid battery technology beyond 2020 in Europe, one of the world’s largest lead-acid battery makers has unveiled a lithium-based starter system for start-stop vehicles at the North American International Auto Show in Detroit. It will be in production by 2018, the company says. The lithium titanate battery, made in conjunction with Toshiba, will power advanced start-stop vehicles. "Johnson Controls is pursuing opportunities to develop evolutionary low-voltage energy storage systems that will help our customers meet increasing fuel regulations at a lower cost than a hybrid or electric vehicle," said Lisa Bahash, group vice president and general manager Original Equipment, Johnson Controls Power Solutions. "In partnership with Toshiba, we are expanding our lithium-ion product offerings to support the needs of our global customers." The lithium titanate chemistry is effective at quickly recharging, works well in a wide range of temperatures and can be easily integrated into a vehicle's 12-volt electrical system. Toshiba, with its SCiB technology, is the established market leader for lithium Titanate. "Toshiba is pleased to work with Johnson Controls to supply SCiB cells for this application," said Shun Egusa, general manager of Toshiba's automotive business. "The opportunity to support global automakers with their goal of improving vehicle efficiency is an important part of our strategy and vision." An Advanced Start-Stop system has two batteries. 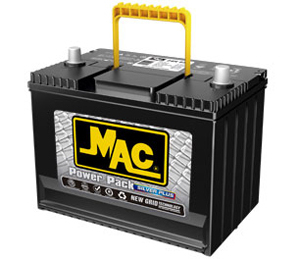 A 12V Absorbent Glass Mat (AGM) or Enhanced Flooded Battery (EFB), which will start the engine and supply power to accessories such as lights, navigation systems and radios. The 12V lithium titanate battery will primarily accept and store regenerative braking energy during vehicle deceleration, enabling greater power and load management capabilities. "With an Advanced Start-Stop system, drivers could save up to 8 percent every time they fill up their gas tank as the batteries enable the engine to shut off more frequently and for longer periods of time," said Bahash. "This is also a great solution for our customers because the technology allows for greater fuel savings without major changes to the existing powertrain and electrical systems." The 12V battery systems will be produced starting in 2018. Johnson Controls Power Solutions has secured a contract for the supply of lithium-ion batteries to British Range Rover’s hybrid vehicle. The lithium-ion battery pack has a capacity of 41Ah and comprises of 96 energy cells connected in series via 12-cell modular blocks. 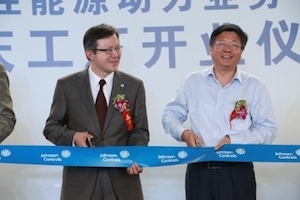 American automotive battery supplier Johnson Controls has opened a new battery manufacturing plant in Chongqing City, China. The facility is expected to produce six million automotive batteries per year. Johnson Controls invested $154m in the plant with a size of 133,000m². "This facility will not only enable us to meet increasing demand from our customers in China, but will also allow us to demonstrate our global leadership in technology and sustainability”, said Kenneth Yeng, vice president and general manager of Johnson Control Power Solutions in China. The manufacturer will supply China’s rapidly growing demands with its battery technology and services. 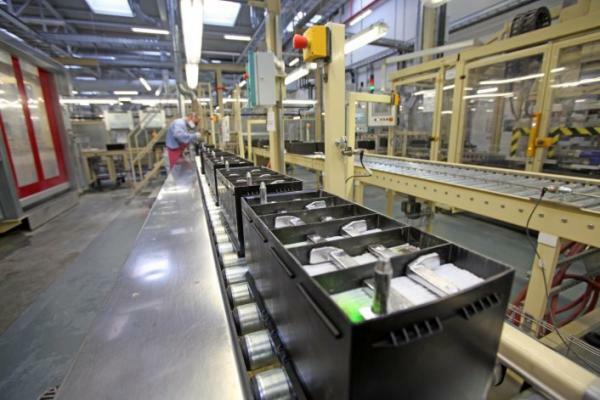 Johnson Controls has expanded its Zwickau, Germany, battery plant with a €100m ($136m) investment, making it the world's largest production facility for AGM batteries. The plant's increased production capacity is now 6.6m batteries a year - four times the plant's output prior to the expansion. Subscribe here for the full story. The US Patent & Trademark Office issued Johnson Controls Autobatterie GmbH a patent for a set of separators for a lead-acid rechargeable battery on 17 September. According to the abstract released by the US Patent & Trademark Office: "The invention relates to a method for converting a separator processing machine for processing separators for a lead accumulator, comprising the steps of ending a supply of a first separator having a first separator width to the separator processing machine and supplying a second separator having a second separator width that differs from the first separator width to the separator processing machine. 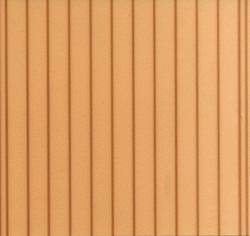 “According to the invention, the separators comprise a base film body extending along a center line and a plurality of primary ribs, which are raised above the base film body along the center line by a primary rib height and are disposed mirror-symmetrically with respect to the center line, wherein the primary ribs of the second separator with respect to the center line are disposed in the same locations as the primary ribs of the first separator."